Several posts ago I shared my stove top naan bread recipe. Real naan bread is made in a tandoor, which I am sure almost no one has it at home. 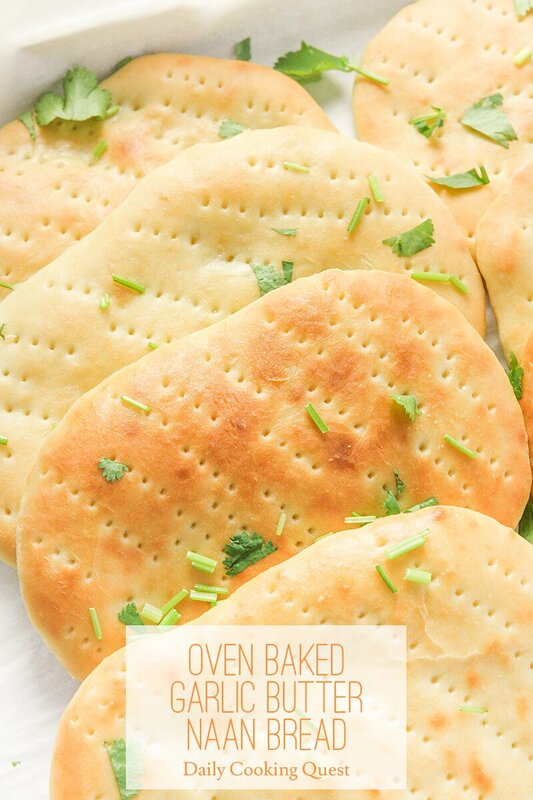 The next best tool is to use oven at a very high heat to make this oven baked garlic butter naan bread. 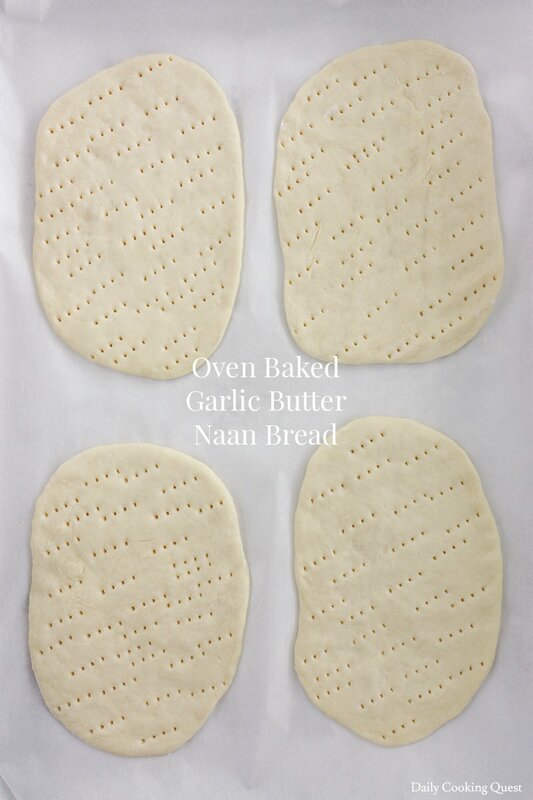 If you love naan, please give this easy recipe a try :) If you don’t like garlic in your naan, just take the garlic out and follow the rest of the recipe as is. 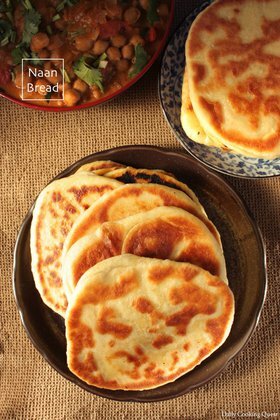 When I posted my original stove top naan bread recipe, some of my Indian blogger friends gently pointed out that most people don’t use egg in their naan. Once I receive enough sage advices from my more expert friends, I present to you this updated recipe. This time around, no egg! Do you prefer garlicky bread? If you are like me who love garlic in their bread, and don’t mind having a bit of garlic breath after a meal, feel free to add up to 2 cloves of grated garlic. 1 clove of garlic is just enough to give you a hint of garlic in your bread. If you hate garlic, just don’t use any in your naan dough. Regardless of how many cloves of garlic to use, your bread should come out beautifully. Mix together warm water, sugar, and active dry yeast in a large mixing bowl. Set aside for 10 minutes, or until foamy. Once the yeast solution is foamy, add yoghurt, olive oil, grated garlic, salt, and the 300 gram all purpose flour. Knead the dough until soft and non sticky. 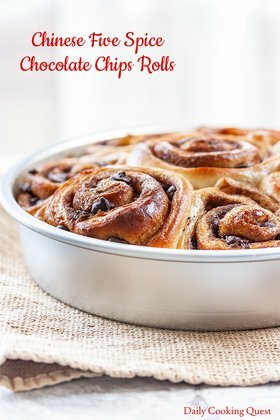 If the dough is sticky, add in 1 tablespoon of flour at a time, and continue kneading. You may need less or more than the stated 60 gram of additional flour, depends on your the brand of flour, the temperature and/or humidity of your kitchen. 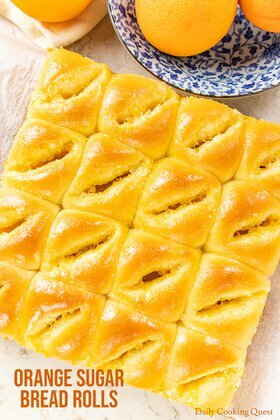 Incorporate the pieces of unsalted butter cubes into the dough, and knead until soft, smooth, and elastic. Don't worry too much if there is some small lumps of butter not fully incorporated. Place the dough in an oiled mixing bowl. Cover with saran wrap or a wet kitchen towel. Let the dough proof until the volume is almost doubled. It should take about 1 hour in a warm kitchen, and may take longer in winter time. Once the dough is doubled, it is time to start preheat the oven to 260 Celsius (500 Fahrenheit). Line 2 baking sheets with parchment paper and set aside. Punch the dough to release air bubbles, then knead again for 3-5 minutes. Turn the dough out on a well floured work surface. Gather into a round ball, then divide into 8 portions. Shape each portion into a ball, then flatten with your palm and fingers into a slightly oval shape. I usually just eyeball it so one half-sheet pan can fit 4 pieces of bread. If you need a measurement, then I would say about 5"x7" each. 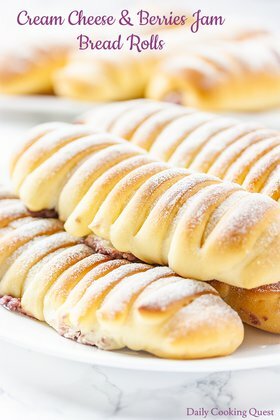 Bake in preheated oven for 7-8 minutes. Then turn on the broiler function, and broil for 1 minute. 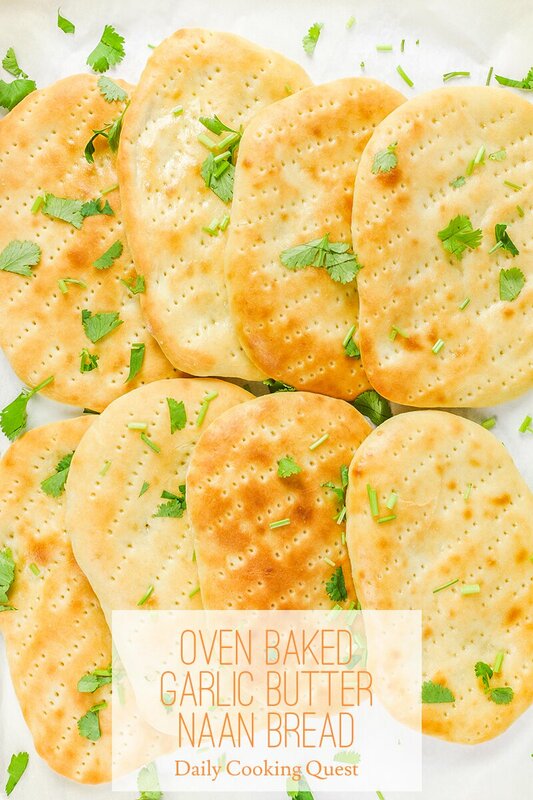 Brush freshly baked naan bread with melted salted butter, then sprinkle with some chopped fresh cilantro (or parsley). Best when served immediately.